What is contemporary art all about? 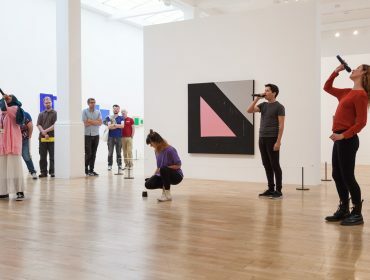 The Whitechapel Gallery youth programme is open to people 15 – 21 and gives young adults the chance to explore contemporary art, meet creative professionals, and open up career paths into the sector. Collaborative projects are developed in dialogue with artists and young people and offer a look behind-the-scenes at the Gallery. 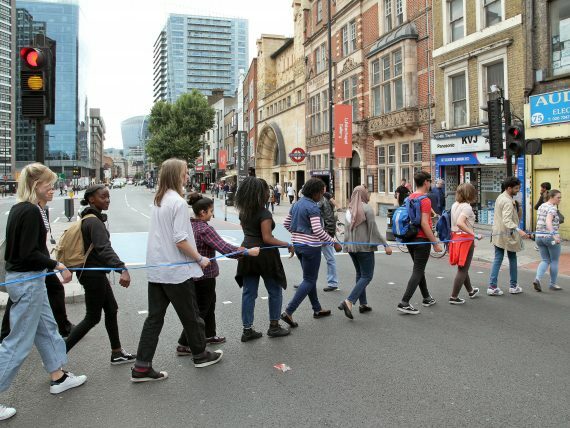 Come along to our Youth events at the Whitechapel Gallery, from pop-up exhibitions and performances to workshops and taster evenings. Join our Youth mailing list to be kept up to date with forthcoming events. 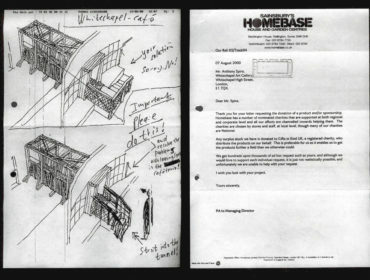 Browse through our archive of youth projects to read blogs and find out about the artists. 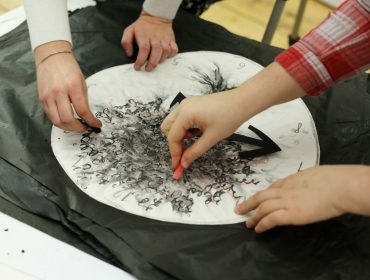 Duchamp & Sons is a collaborative programme for young people aged 15-21. A regular group comes together each week to meet with artists, curators and practitioners from other fields. 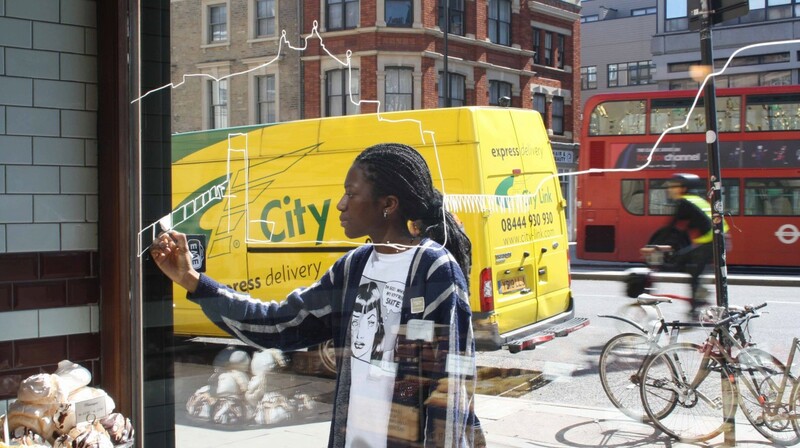 The group have curated exhibitions and events in the Gallery, made films and even staged live art performances on Whitechapel High Street. Duchamp & Sons were formerly known as the Young Curators. In the summer of 2010 the group worked with the artist Lady Lucy on The Naming Project. They worked with the artist to explore ideas around naming and identity and to generate ideas for a new group name – the result of which was Duchamp & Sons. Watch our film to hear from members of Duchamp & Sons and our Swarovski Foundation Youth Curator Renee Odjidja, on the occasion of the 2018 Whitechapel Gallery Art Icon Gala. Duchamp & Sons collaborated with artist duo Wright & Vandame to explore alternative histories and transforming spaces; interweaving fact and fiction to create a new installation in the Gallery’s former café. Through yoga sessions, performance workshops, and explorations of memory and sensation Duchamp & Sons considered the strange allegiance between mind and body, resulting in the creation and exhibition of two films. Inspired by artists’ manifestos, Duchamp & Sons explored their shared identity and the power of collective voice with gallery staff and artist Ruth Beale. 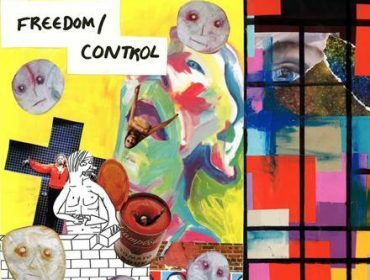 An enlightening afternoon of screenings, performances and discussions exploring the theme of ‘Freedom/Control’ and its relevance in today’s society. In collaboration with artist Chiara Ambrosio. From animation to composition, costume to choreography Duchamp & Sons explored a cross- disciplinary approach to making with creative practitioners. 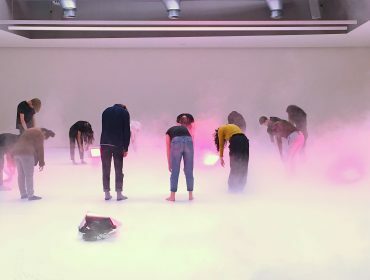 In collaboration with artist Ian Giles the youth forum developed a performance investigating how language can be abstracted through layering, repetition and reordering.